Current location of the York County Chamber of Commerce. The Herald reported on Aug 27, 1914 - "that Mr. J.W. Efird is manager of the Rock Hill store of the Efird Dept. Store chain. His brothers manage the other stores." East Main Street showing a ca. 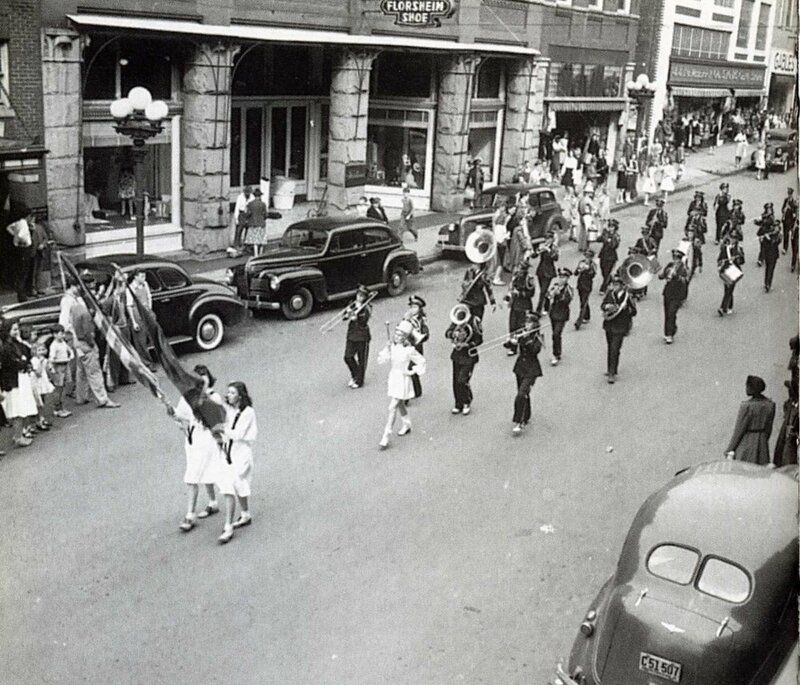 1940 parade, this image would have been taken from near where the York County Chamber Building currently stands. This building's facade resembles that of those found at this location at the turn of the 20th century and was primarily used for decades as the location of Efird's Department Store. The store had once been directly across the street next to the Friedheim and Brother’s Dept. Store. The company operated very successfully in Rock Hill until it was purchased by a competitor and closed. The second floor of this structure only recently, in 2017 went through a comprehensive update for use as a commercial real estate office and the Collision Workspace area. It is one of many buildings updated following the removal of the Town Center Mall's roof, in the 1980s, which had once encompassed nearly half of the downtown Main Street buildings. 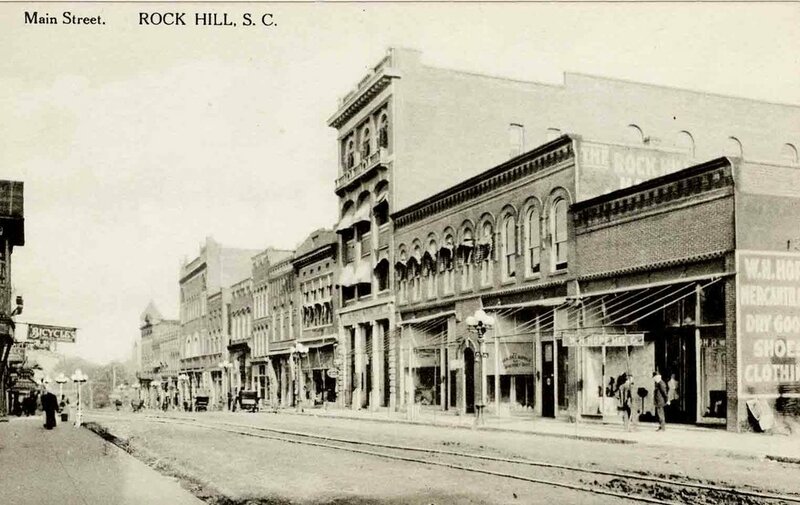 Interestingly, the Chamber of Commerce building and the one to its immediate right (the Old Rock Hill Hardware Co.,), were once in the middle of the commercial block. During urban renewal efforts in the late 1970, all the building to the Northwest of this area were demolished. These included the Ratterree Drugs Store, the Carolina Hotel complex, the popular Davis Meat Market and several additional buildings of historic note.